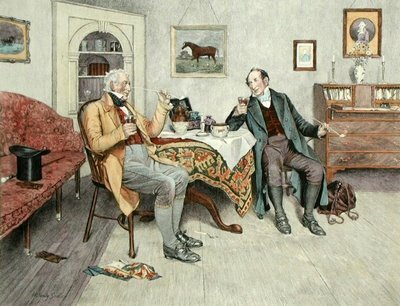 The art of pipe smoking is the oldest form of tobacco use, and the one most often overlooked by the modern smoker. In this day and age of instant gratification and fast-paced living, replete with instant coffee and five-minute cigarettes, the pipe remains a comforting bulwark again the general flow. Pipe smoking is a remarkably challenging, yet extremely rewarding hobby for those with patience, and can easily be regarded as the most sophisticated form of smoking. perfect pipe. Prices can vary from cheap to a small fortune. tobacco, including Aromatics, American blends, English blends, Virginias, Burleys, amongst others. smoker demonstrate. Correct packing takes practice, and has a major impact on how enjoyable your experience will be. for a few seconds. Move the flame around the surface of the tobacco while drawing gently until evenly lit, then tamp it gently with a tamper. Let it go out, then relight the same way. 5. Puff slowly and rhythmically. Patience is rewarded with aroma and a cool smoke. Puffing too fast will result in tongue bite - a burning sensation on the tongue. after the pipe has cooled. bottom and side of your pipe bowl. 8. Relax and enjoy. Pipe smoking is the quintessential art of smoking.